Have you heard the saying "Energy Flows, Where Attention Goes?" It is one of the important principles in the law of attraction". Here's an example of how this principle applies in the workplace. 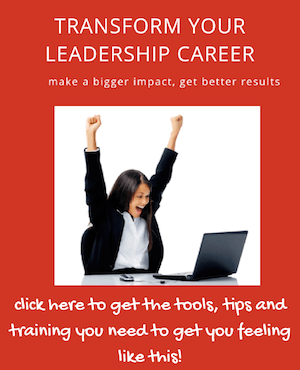 Want to fast-track your leadership and personal success? 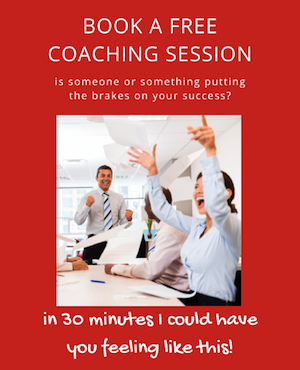 Read more about how engaging me as your coach will help you make the dent you were meant to! Jody (names all changed for confidentiality reasons) came in to coaching, not long after she'd received a promotion. A role in which she has 10 direct reports and approximately 200 indirect reports. Jody took over the leadership of the division, from a very popular leader who had been side-ways moved. (The Senior Leadership didn't believe Jody's predecessor was capable of moving this team, at the rapid pace they needed, to a new way of operating in order to remain viable). Jody's appointment wasn't greeted with open arms by her new team. Some team members were quite resentful ... they weren't happy with the new direction (their old way was easy, safe and comfortable), they missed their old leader and weren't overly happy with an 'outsider' coming in. From the start, there were several team members who were looking for reasons to dislike, and find fault with Jody and the new direction she was taking the division. To Jody's credit, she was very sensitive to this and worked hard to build trust between herself and her 10 direct reports. Things seemed to be progressing nicely. Then, after about a month or so in the role, Jody started to ask for guidance on how to deal with Joshua. Jody felt that much of the early tension in the team (toward her) had been flamed by Joshua, and that whilst he got his job done, he was poison in the team. For a few weeks, "Joshua Issues" became a theme of our coaching sessions. Each time we talked there was another Joshua challenge and she was constantly finding fault with what he did, and said. Certainly, Joshua was at times behaving in ways that would have been challenging to both Jody, and the team. Yet, because I was coaching others from within the organization, who regularly interacted with Joshua, I had received other contrasting, more positive, views of him. Time to help Jody to find a new way to view the situation. She was so caught up in finding 'wrongs' with Joshua, that she was no longer, rational, impartial or fair. The more she focused on what was wrong with him, the more he seemed to perform poorly (at least from Jody's perspective). "When you become a better leader, you have better team members". So the challenge for Jody was to become a better leader of Joshua. Rather than finding fault, laying blame and criticizing, it was her responsibility to discover a new way to lead Joshua that engaged, inspired, and energized him. I shared with her the positive things that others tell me about Joshua. Times where he's inspired his team to go over and above, to help other divisions - providing exceptional customer service that reflected well on Jody's division. A picture in complete contrast to the one she had built up. I invited Jody to pretend that tomorrow was her very first time to meet Joshua, and that the only knowledge she had of him was what I had given her. She promised that, that evening she would visualize seeing Joshua as a valuable team member, who contributed positively to the team's success. Throughout the next week, Jody was to notice, and record, all the good things that Joshua did during that week. When appropriate, she should make some type of sincere, and encouraging comment to him, about the positive difference he was making to the team. At the end of the first week, Jody had a list of 30 positive things that Joshua had done - things that she realized she probably would have dismissed or not noticed, had she not been making the effort to write them down. About a fortnight after Jody started to give attention to the good things Joshua did, they were at the point where trust had begun to be re-built and a degree of acceptance, and willingness to communicate, at a 'real' level had unfolded. It was at this point that they were able to discuss what had happened, and agree how they would treat each other in the future. Within the space of a month the relationship was completely turned around. When Jody had been giving her full attention to all that Joshua did poorly, the ONLY things she noticed were the things that aggravated her and convinced her that he was someone of little worth to her team. And, as per the law of attraction, what she focused on was what she attracted. When Jody focused on looking for the good in Joshua, being supportive, encouraging - in other words improving her leadership/influencing behaviors - then like magic, Joshua became the type of team member she welcomed. Will this always work? No, not always. Sometimes, no matter how good you are as a leader and where you focus, the other person remains a true challenge. More often than not though, when you focus on the good and reinforce it, you create some immediate shifts. Depending on your history, the person may initially not trust you, or your efforts. So do make sure please, that this comes from an exceptionally sincere place or you will end up with egg on your face! All any one of us wants, is to be approved of and loved. When you get approval/acceptance - it feels good. You want more of this good feeling - so you do more of what it is that generates the good feelings. You also tend to like people who cause you to feel good. If you're a leader who focuses on the good in others, surely it stands to reason you will attract good performance. When people feel approved of, it gives them a feeling of safety. When people feel safe it is easier for you to talk about any areas of concern you may have. Think of someone you know who you feel safe with - I bet that person could give you some 'tough love', and you would be okay with that. Contrast it with someone you don't feel safe with - if they were to point out a flaw in your behavior or capability - how might you feel/respond? So, who is your challenging person? Who do you need to turn around? Whether it's someone at work, your partner, your kids or the next door neighbor - how can you change what you focus on, to get different results? What do you need to do differently? Don't take the easy option, which is to simply decide the person is a problem and you don't need to, (or shouldn't have to), change/do things differently. The trickier, yet far more rewarding, path is to turn things around by focusing on becoming a better you and using the universal law of Energy Flows, Where Attention Goes.